The SGI-compressors had been developed mainly for use in O2/N2 PVSA gas generators as booster compressors, to get higher delivery pressure. 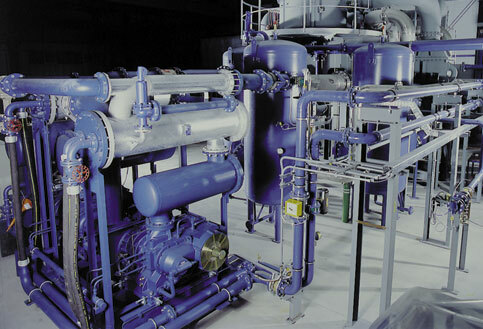 SGI offers 3 types of compressors for the different applications. For lower output pressures up to 6 bar abs we use the principle of rotating hooked rotors. 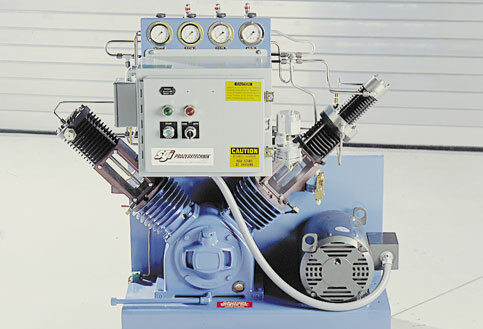 The SGI-compressor consists of two rotors in contrarotating direction. Due to a minimum clearance between the rotors the compressor can achieve high efficiency without using any oil or lubrication in the compression room. Due to the fact that moving parts are not in contact with each other we can offer long service life and less maintenance. Between the compression room and the driving gears we have a neutral room which guarantees the separation between the oil free compression room and the lubricated gears. 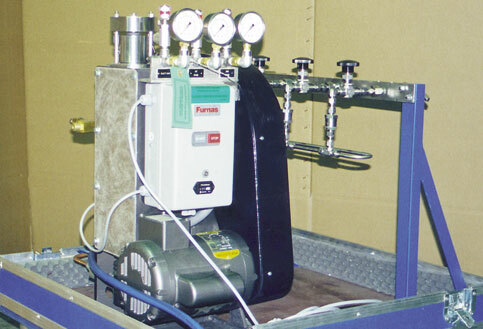 Therefore this machine can be used for compression of gases like oxygen and nitrogen. The machine is driven by a frequency controlled electric motor acc. customers request. In case of higher gas flow or higher discharge pressure it is not possible to fulfil all process requirements with single stage compressors. 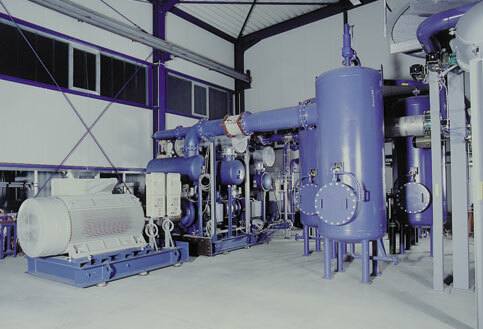 in these cases multi-stage compressors combining different machine types will be used. In case of lower gas flow we offer the rotary lobe blower hooked type in 1- and 2- stage version up to 500 Nm3/h and 3 to 6 bar abs. In case of larger required flow rates we use a combination of roots type blowers and hooked type blowers in 2- or 3- stage version. 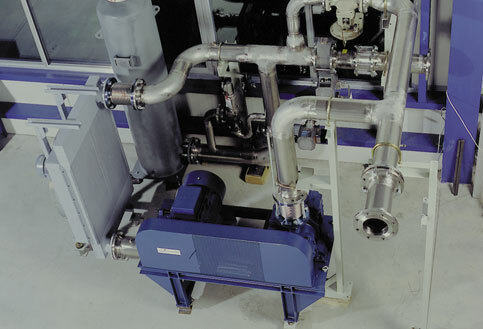 In such a system different blowers are mounted on skids and connected with piping to each other. 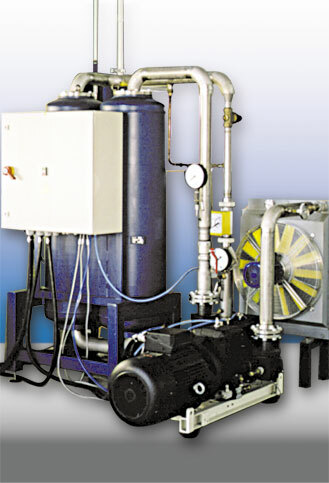 Air cooled coolers are used to take away the heat of compression. 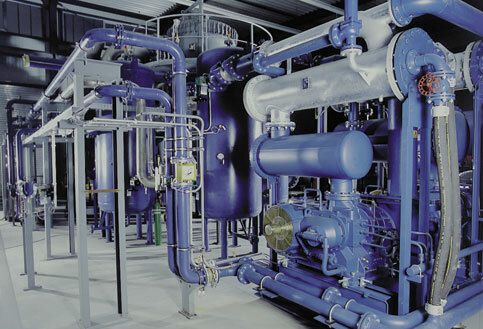 We deliver completely assembled skids including heat exchangers, piping, instrumentation and control equipment. Applications include virtually all types of gases including air, nitrogen, argon, helium, hdrogen, ethylene, carbon dioxide, natural gas, and a varity of mixed gas combinations on request. The commpressors have been developed specifically for exacting requirements of safe, reliable oxygen compression service. The Series incorporates design features developed over several decades for a variety of industrial and military oxygen compressor applications. These compressors are also well suited for the compression of other clean, dry gases to 150 to 200 bar. The two-stage compressor have a capacity of 151 barg and a flow rate of 3,2 m3/h. The three-stage compressor have a capacity of 172 barg and a flow rate of 16 m3/h. The four -stage compressor have a capacity of 207 barg and a flow rate of 27 m3/h. From the SGI oxygen generator storage tank regulated oxygen is fed into the high pressure oxygen compressor where the oxygen is boosted to tank pressure and fed to manifold and into the high pressure oxygen cylinders. The oxygen compressor that is needed is determined by the capacity of the PVSA oxygen generators based on the number of high pressure oxygen cylinders to filled each day.